As you prepare to bring a data center maintenance and repair professional into your business, carefully review the services that the provider will offer. Quality work can result in more efficiency and financial savings, while sloppy work can mean significant losses in work and budgeting. Hopefully, the providers that you are considering will be focused specifically on the needs of data centers and will have experience working with UPSs. With this specific focus, the provider will be able to offer better services, recognizing specific issues facing the data center and your UPS. You should be able to expect a timely response whenever you have trouble with related hardware covered by the contract. Any downtime for your equipment will translate into time and money lost and the potential for dissatisfied customers, meaning a loss of future business. Whomever you have chosen for the maintenance and repair of your data center equipment should have a quick response plan already in place and should be should consistent in responding quickly. When trouble occurs, you need to know that your repair professionals will be able to react immediately. You’ll also want to find a provider of data center maintenance and repair with the experience to service many different types and brands of hardware. When you find a maintenance and repair provider with the expertise and training to do this job well, you’ll appreciate having a well-rounded engineer who can diagnose problems and provide solutions efficiently and correctly. 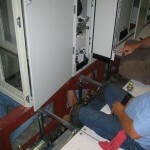 Choosing a repair service with a broad range of experience is the first half of this task. The second half involves being sure that within all of that experience is the experience for every type of hardware you have. Be careful that you choose a maintenance and repair provider with experience servicing all of the hardware that you operate. It may be very frustrating and costly to find that the provider, even with a lot of experience, doesn’t have the understanding or ability to fully service all of your equipment. From the UPS equipment and technology to the operating hardware, every component will need to be serviced regularly in order to keep business running smoothly and to prevent major issues from leading to substantial losses. Expect the data center maintenance and repair provider to be responsible for all of their employees and the provided services. You’ll benefit from knowing where you are at in relation to any repairs or maintenance, the ordering of parts, projected completion time and more. Seek to find a maintenance and repair provider for your data center and UPS who understands the value of prompt and thorough communications. You understand that in an IT environment, machinery, equipment and hardware evolve and change quickly. Your data center maintenance provider should understand that as well. When the time comes to finalize the contract, be sure that the contract allows you to add or remove hardware whenever necessary. The costs of including data center maintenance and repair on a consistent basis will be lower than ignoring the preventative service and the suffering from unpredictable malfunctions and lengthy downtimes. After you have done some thorough research, you’ll find the services provided by data center maintenance and repair professionals play an important role in maintaining the efficiency of your business. 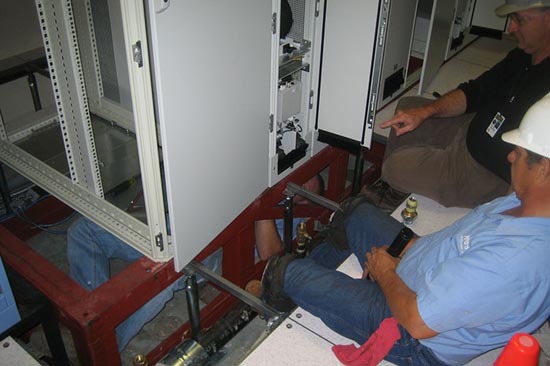 This entry was posted in computer room maintenance, data center maintenance, Titan Power and tagged computer room design, computer room maintenance, Data Center Construction, data center maintenance, Uninterruptible Power Supply. Bookmark the permalink.